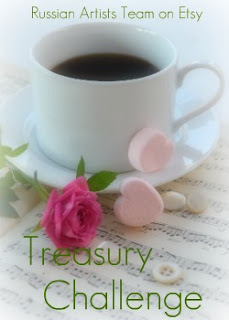 Please join us for the 15th round of our Treasury Challenge game! You don't have to be a team member to participate but you need to have a shop on Etsy. 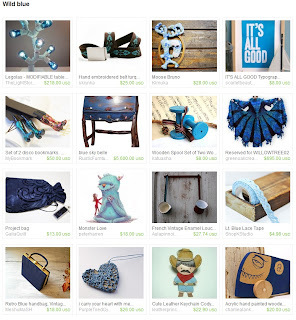 Irina from IrenkaR was announced as a winner of a previous round with her "Wild blue" treasury. Congratulations, Irina! The winners have chosen a new theme and inspirational item for the 15th round. So this week's theme is "Warm Winter" and it's running January 5 through January 11th, 2012. 4. If you are not a team member please leave the link of your treasury here in the comments section of this post. If you are a member please visit our forum on Etsy and leave your link there. 5. Only one treasury per shop will be accepted to participate in the contest. Please do not include your own listing to your treasury and no more than 1 item from per shop. Treasuries for this round will be accepted until 12 noon EST on January 11th, 2012 and the winner will be announced on our blog on January 5th. 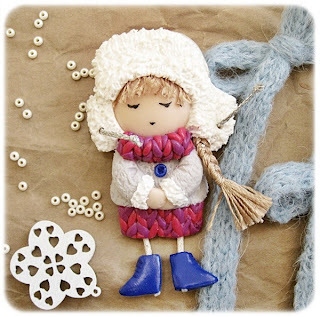 The winner will choose the next theme for our treasury challenge and provide an inspirational item. Participants have to include this item in their challenge treasury for 7 days and you need to build your collection around winner's inspiration. If the winning shop or person is not available on Wednesday the captain or a leader of our team will choose the winner, the next theme and inspirational item. If you'd like to post the challenge game on your blog, please use our image and provide a link to this post!